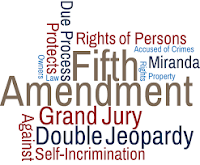 According to Michael J. DeBlis III, if you’ve ever heard someone “plead the Fifth” on a crime-related television show, you’re aware of the power of the Fifth Amendment. 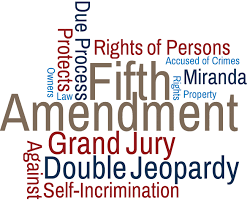 A key part of the United States Constitution, the Fifth Amendment protects Americans from self-incrimination, meaning that if you are arrested for a crime, you are under no obligation to reveal information that may be used against you. While cases of pleading the Fifth are a little less common in real life than they are on Investigation Discovery, the Fifth Amendment does occasionally rear its head for ordinary individuals, particularly where taxes are concerned. In cases potentially involving the Fifth Amendment, it’s important for taxpayers and attorneys alike to tread carefully. After all, anything you say or do can be held against you, whether you meant to reveal such information or not. As such, taxpayers may find themselves between a rock and a hard place, as the willingly-provided information gathered in an audit – personal information and details about potential wrongdoing that taxpayers would ordinarily never admit to in a court of law, for example – can then be used in a criminal proceeding, like in cases of fraud or tax evasion. Facing the potential for criminal charges stemming from an IRS investigation is a slippery slope. In order to keep taxpayers as protected as possible in these proceedings, it’s critical to understand policies, procedures, and best practices to reduce the risk of penalty. As the adage goes, there are only three absolutes in life birth, death, and taxes and pleading the Fifth isn’t always enough to send the IRS packing. Under Code Sec. 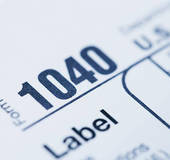 6012, individuals in the U.S. are required to file annual income tax returns, and also to keep adequate records to support the gross income and expenses included with an annual filing. For those with a penchant for tax fraud, doing as such may seem as though it’s toeing the line of the Fifth Amendment, but the Supreme Court decided this isn’t the case; in United States v. Sullivan, the Court determined that preparing tax returns is not a violation of personal liberties. There may be some case for pleading the Fifth in cases in which the taxpayer is asked to disclose information that is otherwise privileged, but there is no defense for failing to file at all. Returns also cannot be substantially incomplete; they must provide enough information for the IRS to reasonably determine an individual’s tax liability. If the IRS requests information the taxpayer feels should be privileged, a privilege claim can be made under select circumstances, on a case by case basis. In fact, the Tax Court recently ruled that the privilege against self-incrimination can be used to keep taxpayers from disclosing the source of certain forms of interest income if the return otherwise contains enough information for the IRS to accurately assess the correctness of the overall return. 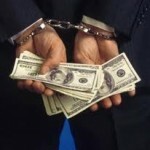 Think invoking the Fifth Amendment may be enough to get the IRS off your case? It may be, but it also may not be. Section 7602 grants the IRS fairly broad power to compel taxpayers into providing requested information in the course of a return examination. This power is not unlimited, however, and in the right occasion, the Fifth Amendment may indeed provide protection. However, before pleading the Fifth willy-nilly, it’s best to understand its exact role in the Constitution. It reads as follows: “No person shall be held to answer for a capital, or otherwise infamous crime, unless on a presentment or indictment of a Grand Jury, except in cases arising in the land or naval forces, or in the militia, when in actual service in time of War or public danger; nor shall any person be subject for the same offence to be twice put in jeopardy of life or limb; nor shall be compelled in any criminal case to be a witness against himself, nor be deprived of life, liberty, or property, without due process of law; nor shall private property be taken for public use, without just compensation.” In essence, this protects against government abuse, helping to safeguard citizens from having to choose between following the law and self-incrimination or perjury. These privileges don’t just stop at criminal cases, however; civil proceedings are also included. This means that taxpayers are indeed permitted to plead the Fifth in proceedings with the IRS, assuming there is a valid reason to do so. If a taxpayer is found to be “faced with hazards of self-incrimination that are real and appreciable, not merely imaginary and unsubstantial” the request will be upheld. For those potentially facing IRS sanctions or penalties, it’s only natural to ask, “why not invoke the Fifth Amendment at all times when dealing with the IRS?” After all, confessing to tax fraud or other challenges that the IRS may investigate would be self-incrimination, would it not? This is certainly a valid question, but it’s also one that may stand in the way of resolving complex tax situations, particularly for those with an educated appointed representative, like a tax accountant or lawyer. With a qualified representative speaking on behalf of a taxpayer, it’s unlikely that a case will evolve into one in which pleading the Fifth becomes essential, even in cases concerning fraud or other potentially criminal charges. It is also important to understand the rights of a taxpayer and his representative; when asked, the IRS must produce a copy of their administrative file under code section 7803. Generally, reviewing files and workplaces indicates that pleading the Fifth isn’t necessary. However, if the IRS refuses to give up files based on the perceived influence to proper tax administration, the taxpayer may want to proceed with as many privileges invoked as possible. In addition to the above, the burden of proving privilege falls on the one asserting privilege, which means that the taxpayer must be able to demonstrate why he is claiming privilege – and saying “because” isn’t a good reason at all. From there, it is up to the court to decide whether this choice is valid, and if it’s deemed to be unnecessary, the ability to plead the Fifth is essentially voided. While the IRS occasionally issues threats, it’s highly unlikely that the results of an investigation will actually yield prosecution, making the need to invoke the Fifth essentially moot. Further, invoking the Fifth immediately colors the way a taxpayer looks to the IRS. Even if there’s nothing criminal to hide, simply bringing up privilege will lead to a presumption that there is. Doing this unnecessarily can send the IRS digging deeper than previously intended, and may also significantly delay the examination process and send legal costs soaring.